Thank you to Front Porch Realty for hosting our Spring Chamber Mixer - good food and great company! Lots of connections were made, and that's what these mixers are all about. Congratulations to HEB for there nomination and selection as April 2019 Business of the Month. Take a look at some past winners in the Business of the Month Media Gallery. Do you know an outstanding local business that deserves recognition? Nominate them for the Business of the Month! 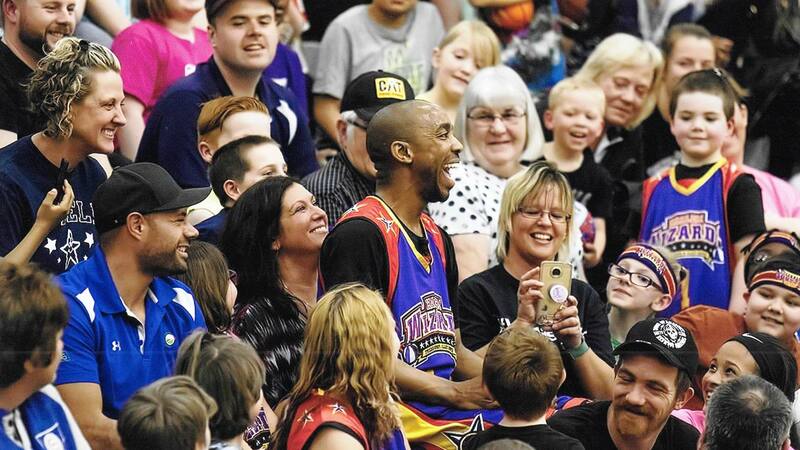 The Harlem Ambassadors are Coming to Gatesville! Thank you to all of The Chamber member sponsors and the players for participating in The Harlem Wizards vs. The Chamber Spurs Basketball game coming up on April 23,2019! This will be such a fun family event for the community! Thank you all for making it happen again this year! The Gatesville Chamber of Commerce is delighted to introduce our new members. Our members are the lifeblood of our organization, helping us serve Gatesville residents, visitors to the area, and the community at large. Chamber Market Days are held the 2nd Saturday of every month in the parking lot of the Historic Cotton Belt Depot, 2307 S. Hwy 36, Gatesville TX 76528. This is a great opportunity for local small vendors to set up and show off their unique merchandise and a great chance to for visitors to the market to shop independent local vendors. Our vendor application and event rules and guidelines were revised for 2019 - please check to see how vendors were affected. The Cotton Belt Depot Visitors Center serves as a travel information center for the Gatesville area, providing tourist/visitor information to travelers, and relocation information to the newest members of the community. Do you know an outstanding local business that deserves recognition?